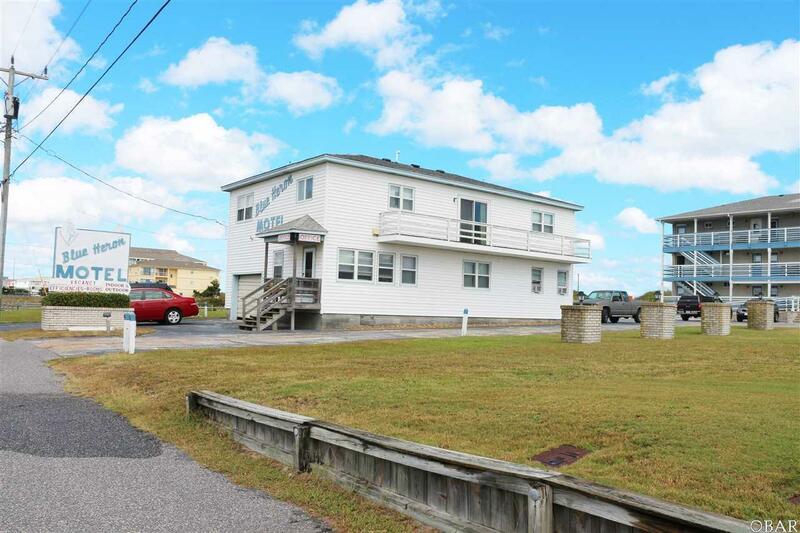 Come check out this OCEANFRONT motel that has been owned and operated since 1969 on the beach road at 16 mile post. Both motel buildings completely reroofed with 30 year ARCHITECTURAL SHINGLES along with remodeling of several rooms January 2018. When purchased in 1969, it consisted of 12 units in one building. The Gladden Family since have added additions of a building housing an office with owners quarters along with a 2 room COMPLETE SUITE in 1975. In 1985, a TWIN BUILDING was added bringing their total rental units to 25 along with a HEATED INDOOR POOL and matching HOT TUB. Two pools were added outside on the ocean side with decking enough to satisfy sunbathers. One is a lap pool for the aquatic exerciser while the other is the traditional lounging type. They continued to expand in 1993 when a 3rd floor was added to the original "north" building, bringing in 5 units with all KING SIZED BEDS. One is larger than all the rest and includes a sofa, large bathroom with a standard tub/shower and a triangular jet tub. 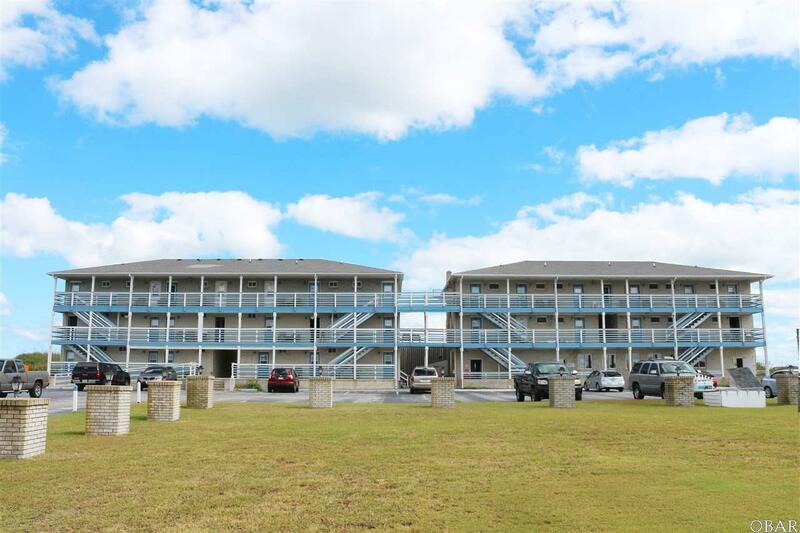 All rooms are oceanfront and all rooms overlook the sound to the west as each unit has a west and east doors. 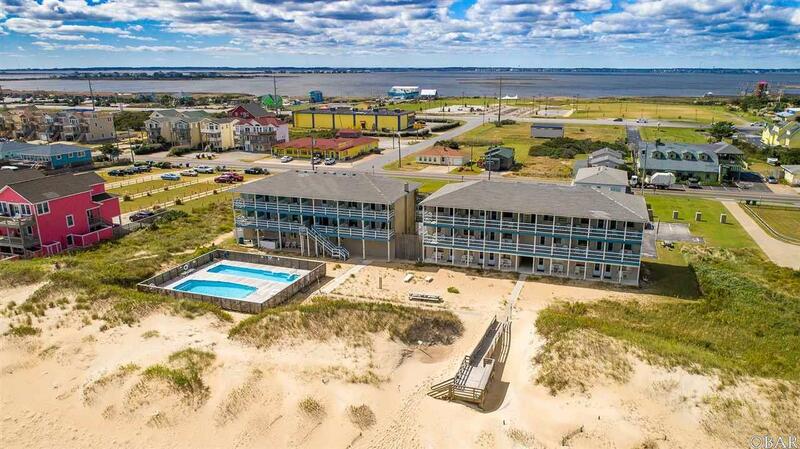 Out the east door, private balconies for each room overlooking the ocean await you on the 2nd and 3rd floors. There's 17 regular rooms, and all have a small refrigerator, microwave and a coffee pot. 13 rooms are efficiencies with small kitchens, refrigerator, small range/oven, microwave, toaster, along with cookware and dishes. Improvements are constantly ongoing, the north building recently had all the decks on the east side rebuilt and wrapped in a heavy vinyl. All new railings and divider walls on the porches. Last year the same was done on the south building, and was all professionally painted. There's a well for keeping the front yard looking sharp, and municipal water for all other purposes. A remote controlled luggage lift conveniently located for suitcases between the 2 buildings. The fish cleaning area is complete with cutting table, water, and disposal. 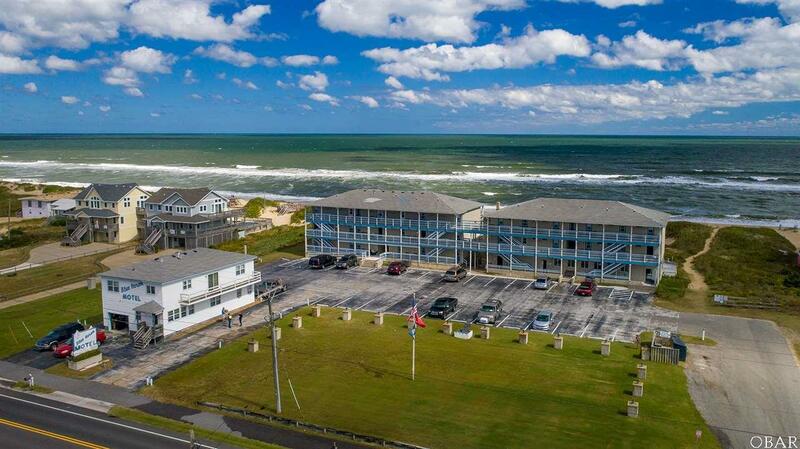 The motel's location is in the heart of Nags Head, 1 mile north of Jennette's Pier and just across the street from the Outer Banks Sound Side Event Site, where eventually a convention center is planned. Great restaurants and shopping are all in the near proximity. Be sure to check out the website www.BlueHeronNC.com for more pictures and information. Documents On File Lead Based Pt. Dis. Listing courtesy of Pat Preston of Shore Realty.